We all know that there are a lot of dating sites out there that have scammers on them. In fact there’s not a dating site out there that doesn’t have someone on it looking to scam money out of unsuspecting members. The key feature of the AdvanDate Online Dating Association is to give more awareness to dating site owners, especially new ones, that there are people out there looking to rip off their customers. We want to make sure that dating site owners are educated in that respect and that they are taking the necessary steps they need in order to curb this behavior. 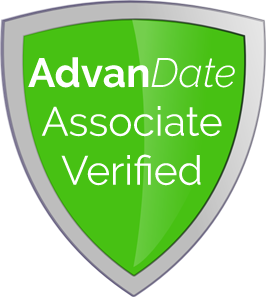 As a AdvanDate Online Dating Association, our main objective is to verify that all of our dating associates follow simple guidelines in helping to protect the money spending consumer. We also ensure that all associates handle all consumer complaints properly. This is a free service from AdvanDate. To be added as a AdvanDate Associate, please Contact Us.